Importers first need to register with the Registry of Companies and Business Names (through the Ministry of Finance) in order to obtain a company registration number. Then, they should register with Brunei’s Royal Customs and Excise Department (RCED). Afterwards, importers will be able to make an account on the Brunei Darussalam National Single Window – an online portal which streamlines all subsequent submission of documents as well as customs clearance and payments. Businesses importing into Brunei must provide the following documents Bill of Lading; Shipping Delivery Order; Commercial Invoice; Packing List; Import Permit; Customs Import Declaration; and Certificate of Origin. Importers first need to register with Cambodia’s Department of Business Registration, under the Ministry of Commerce. Importers would also require a TIN to register with ASYCUDA. To acquire a TIN, importers must register with the General Department of Taxation, under the Ministry of Economy and Finance. Finally, importers must register with the General Department of Customs and Excise. Subsequently, importers need to register their VAT accounts with the General Department of Taxation. Importers operating out of SEZs must apply with the Free Zone Management Department of the General Department of Customs and Excise in Phnom Penh. Businesses importing into Cambodia must provide Customs Import Declaration; Commercial Invoice; Packing List; Road Transport Document (if arriving by land); Bill of Lading (if arriving by sea); Import Permit; Insurance Certificate; Tax Certificate; Certificate of Origin; and Company Registration. To be legally importing in Indonesia, importers – who may be a person or company – are required to register with Indonesia’s trade department and obtain a customs identification number (Nomor Identitas Kepabeanan, NIK). Besides NIK, importers must obtain an Importer Identification Number (Angka Pengenal Import, API), which serves as a record in the database of importers and their import activities. All import activities are prohibited without the API. Businesses importing into Indonesia must provide Commercial invoice, signed by the manufacturer or supplier as true and correct; Bill of lading, in three endorsed originals and four non-negotiable copies; Certificate of insurance; Packing list; Import permit; and Customs import declaration. Products requiring a license under the non-automatic route. Importers can secure these licenses from the Department of Imports and Exports (DIMEX). Products under the automatic route are licensed for the purpose of collecting statistical information whereas products under the non-automatic route require permission from DIMEX to be exported. Businesses importing into Laos must provide Commercial Invoice; Carriers report; Packing list; Copy of business license; Copy of tax registration; Import customs declaration; and Copy of exporter license or registration. Not all goods imported into Malaysia require a license. To import goods which require a license, traders first must register with the Companies Commission of Malaysia. Once registered, a company must then apply for an import license from the Ministry of International Trade and Industry (MITI). To export goods from Myanmar, a company must register itself with the Directorate of Investment and Company Administration (DICA). Fortunately for overseas companies, the DICA recently created a digital single clearance window for registration called the One Stop Service (OSS). Companies can register themselves with the DICA for up to five years. Once registered with the DICA, a company must then register itself with Myanmar’s Department of Trade (under the Ministry of Commerce). Registrations with the Department of Trade are limited to three year periods and cost Kyat 50,000 (US$36.50) per year. All exporters are also required to join the Myanmar Federation of Chambers of Commerce and Industry. To import goods into Myanmar, a company must provide an import declaration form called CUSDEC—1 Import Declaration Form as well as the CUSDEC—4 Customs Valuation Form. In addition, importers require Import Licence; Invoice; Bill of lading, air consignment note, or truck note; Cargo release order; Terminal handling report; Packing list; Technical standard and health certificate (when required); and Recommendation from concerned ministry (when required). To register as an importer, businesses first need an Import Clearance Certificate from the Bureau of Internal Revenue. Importers then register with the Bureau of Customs (BOC) and set up an account with the Client Profile Registration System (CPRS). The Import Clearance Certificate is valid for three years while the Customs Client Profile Accreditation must be updated annually. The CPRS accreditation costs P1000 (US$20) and typically takes 15 working days to process. Businesses importing into the Philippines must provide Packing list; Invoice; Bill of lading; Import Permit; Customs Import Declaration; and Certificate of Origin. To begin the import process, the importer must obtain a Unique Entity Number (UEN) by registering with the Accounting and Corporate Regulatory Authority (ACRA), or another relevant UEN issuance agency, which will allow the exporter to activate its Customs Account. In order to pay duties, GST, and other fees, importers must have an Inter-Bank GIRO (IBG) account with Singapore Customs. To acquire a customs import permit, importers may register themselves as a declaring agent or appoint a declaring agent to act on their behalf. Permit applications are submitted online through the TradeNet system. When applying for the customs permit for containerized cargo, the relevant container number and shipper seal number must be declared. Various documents must be submitted to checkpoint officers when cargo is being cleared at an entry point. For both conventional cargo and containerized cargo, a printed copy of the approved customs permit and supporting documents such as the invoice, the packing list, and the Bill of Lading or Air Waybill are required for submission. The procedures for importing goods into Thailand have been centralized into the online e-Customs system. In order to register for the system, the importer must already possess a ‘digital certificate’. Once a digital certificate is in place, the importer may proceed to register for the e-Customs system. 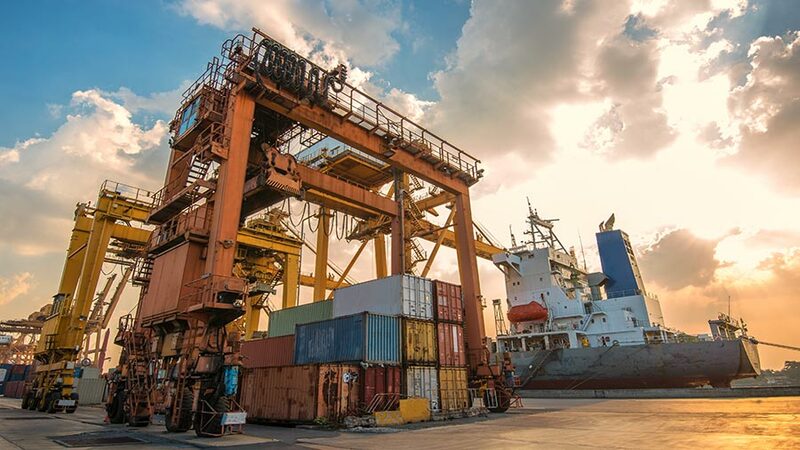 In order to be able to conduct import business in Vietnam, a foreign investor must register with the Department of Planning and Investment (DPI). Additionally, foreign investors who wish to engage in import activities in Vietnam are required to obtain an Investment Certificate. Companies that wish to expand their current business operations in order to engage in import activities must follow the procedures for adjusting their Investment Certificates. Certain goods require the trading company to obtain import permits from the government. Companies that import goods must submit a dossier of documents to the customs authorities. The dossier must include at least the company’s business registration certificate and import business code registration certificate. Additional documents that may be requested by authorities depending on the imports in question include Bill of lading; Cargo release order; Commercial invoice; Customs import declaration form; Inspection report; Packing list; Technical standard/health certificate; and Terminal handling receipts. This article is an excerpt from the December 2018 issue of ASEAN Briefing magazine, titled “Export and Import Procedures in ASEAN: Best Practices“. In this issue, we highlight the region’s export and import procedures for the benefit of trading businesses. We begin by outlining the export procedures in each ASEAN member state. Next, we focus on import procedures in each ASEAN country. Finally, we discuss the importance of meeting the region’s Rules of Origin (RoO) criteria for exporters and importers looking to take advantage of the individual ASEAN member states’ FTAs as well as the bloc’s regional FTAs.